← Chick-Fil-A to the Rescue! Thinking of a Spring Vacation to Walt Disney World Resort? Two brand new discounts came out this morning. Don’t delay these rooms wont last long! Contact me for a FREE QUOTE today. 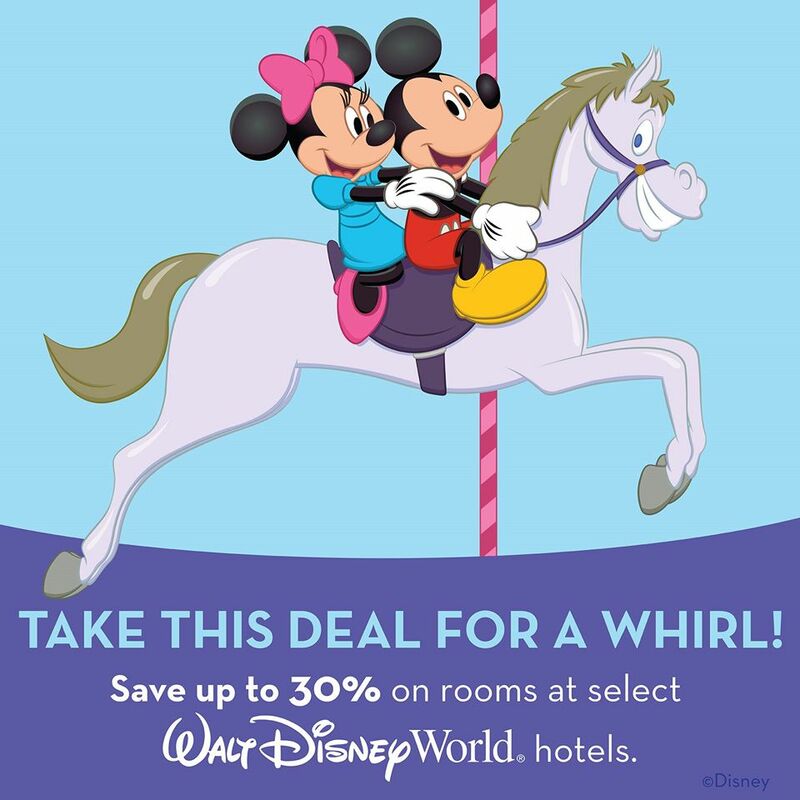 You can save up to 30%* on rooms at select Walt Disney World® Resort hotels when you book between Dec. 29, 2014 and Feb. 16, 2015 for stays most nights March 2-June 15, 2015. Or, save up to 25%* on rooms at select Walt Disney World Resort hotels when booked between Feb. 17-March 28, 2015 for stays most nights March 2-June 15, 2015. Great rates are also available for stays most nights Feb. 22-March 1, 2015. As an added bonus you can receive a 1 more ticket day FREE when you upgrade to a room and ticket package with a minimum 4-day Magic Your Way Ticket. Families of 3 can enjoy 3 nights at Disney’s All-Star Music Resort with 2-day theme park tickets for just $889 most Sunday through Thursday nights April 12-May 21, 2015 and May 25-28, 2015 when you book Dec. 29, 2014-Feb. 16, 2015. Or, families of 3 can enjoy 3 nights at Disney’s All-Star Music Resort with 2-day theme park tickets for just $909 when you book Feb. 17-March 28, 2015. Get ready to show your Disney Side this spring!